Roger Ailes, founder and former chief of Fox News, has passed away at the age of 77. “Beth, you are in our thoughts and our prayers, and so is Zachary — their beautiful son. Roger, rest in peace,” host Ainsley Earhardt said through tears. 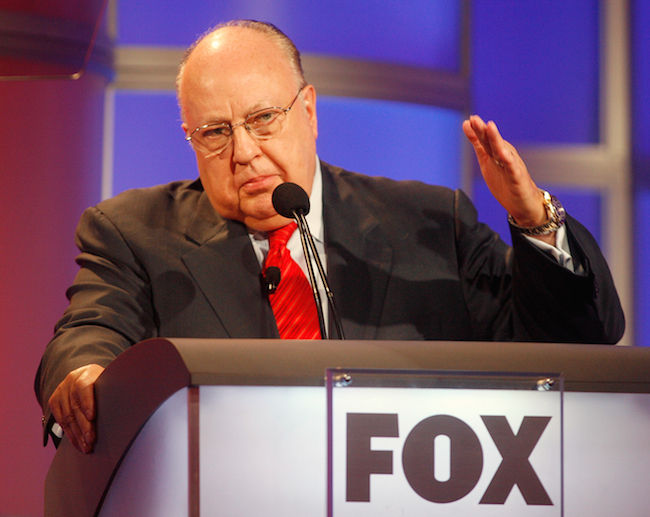 Ailes, a former political aide to President Richard Nixon, founded Fox News in 1996. He resigned from the network in July 2016 after former anchor Gretchen Carlson sued him for sexual harassment. More harassment claims surfaced in the following months, including from Megyn Kelly. Twice divorced, Ailes married Elizabeth Ailes in 1998. CNN is reporting that Ailes suffered a serious fall last week and fell into a coma on Wednesday night. He apparently died from complications related to the fall.